Future generations might find the above Dickens quote apt for describing the present times. Following the recent crash in oil prices, augmented by tensions in the Middle East, it is clear that we must seek alternative energy sources to satisfy our growing energy demands. 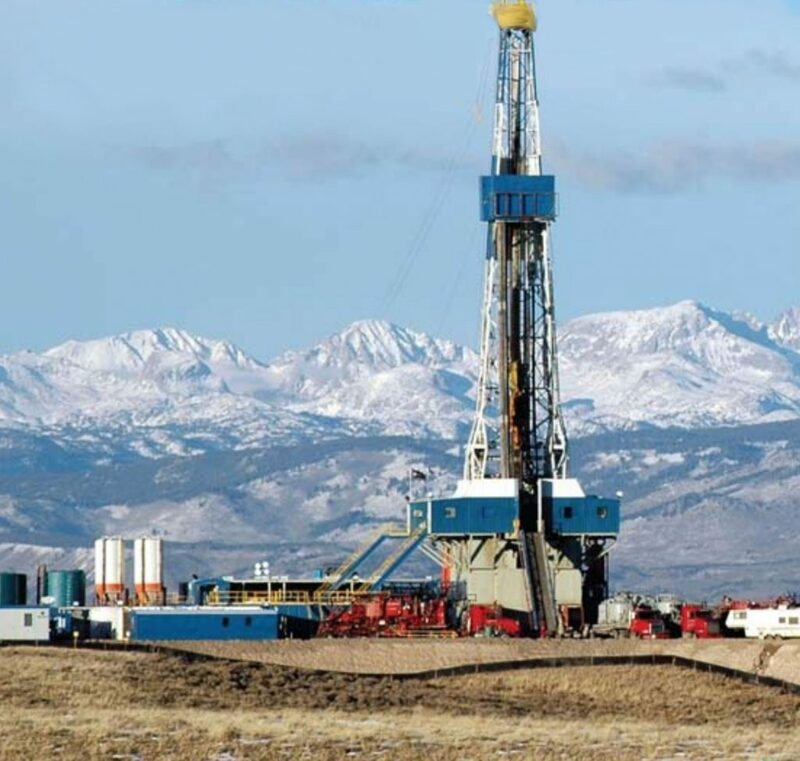 Over the past years, fracking, or hydraulic fracturing has gained increasing attention, both for its pros and cons, and therefore deserves an in-depth consideration of its techno-economic feasibility and long-term environmental sustainability. For despite the awareness and advances in alternative fuel technology, it is evident that the world is not going to shift gears until all fossil fuels have run out. Fracking is a shale-gas extraction technique from residual wells via controlled pressurized stimulation. It entails drilling into and subsequently flooding the rock formation, so as to extract residual shale gas from previously used wells. The process employs the high pressure injection of proppant loaded water to the wellbores in order to create cracks in the rock-microstructure from which fracked gas will flow upon removal of the pressure. Fracking was first commercially started in 1950, in the wake of successful experimental trials by Halliburton in 1947. Today, an estimated 3.2 million of these “frack jobs” have been performed globally, with over 2.3 million in the United States alone. This figure is expected to rise in the coming years, given the progressive increase in the use of liquefied natural gas. By 2030, roughly 25% of the 678 quadrillion British Thermal Units (BTU) of the energy demand is predicted to be met by NG. Desmond King, president of the Chevron Oronite Co. LLC, emphasises that the technology holds promise if implemented properly. In a report published by Jeff D. Colgan of the Harvard Kennedy School, if fracking continues to accelerate and gets adopted more frequently, then North America could achieve energy independence in the context of low or zero net energy imports in the next decade. King however agrees that so long as the oil market remains integrated globally, shale consumption is unlikely to cause any major impact on global energy consumption trends. The fracking revolution is hence, unlikely to reduce oil-related threats to international security. Having established the former, oil reserves are grossly exaggerated, thus the development, testing and commercialisation of fracking technologies is urgently needed. Fracking has become a highly controversial issue in many countries because of the various associated operational hazards and environmental repercussions. While its proponents put forth the argument of accessing potential hydrocarbon reserves, the major process drawback is chronic groundwater contamination, which finds its way into the hydrological cycle and integrates with the associated fluxes of evaporation, evapotranspiration and terrestrial runoff. Extensive noise production is another potentially negative effect. So too are earthquakes. These are commonly triggered due to the initiation of seismic activity, which results from drilling in critical locations that tend to disrupt otherwise normal movements in geological plates, or what is commonly known as a fault-trigger. Controversies on fracking began after a rather striking report published by the Guardian in 2013. The article spoke specifically about families in north Texas who claimed to have suffered bad health upon commencement of drilling operations in areas near to the Barnett Shale in Texas. Residents near such rigs have repeatedly suffered from nosebleeds, nausea, headaches and an all-pervasive smell of acrid chemicals. Not to mention the noise, the pollution and the constant fumes of toxins that were emitted. A major concern of the process is the unrestricted usage of proppant-flooded water. Proppants are solid additives, primarily sand or man-made ceramic structures and chemical additives (acids, chlorides, citric acid, guar gum, isopropanol etc.) that, upon flooding, will increase the cracks in the rock microstructure and allow the shale gas to escape from the rock’s interior. Upon removal of the pressure, the sand particles prevent the cracks from closing, thereby creating a massive diffusion corridor that allows the gas to escape from within the rock’s interior and flow to the surface via the previously drilled channel. This process is repeated multiple times along the entire horizontal section of the wall, which may typically extend for over several miles. The recovered fracturing fluid is then recycled in other fracking operations and is then finally disposed of in abandoned wells, following environmental and legislative protocols. Even a preliminary dose response assessment of the toxic fracking water demonstrates an abnormally high CDI (chronic daily intake) and an alarmingly high Incremental Lifetime Cancer Risk. Likewise, such waters demonstrate elevated values of the Bio-concentration Factor, which, in lentic ecosystems, is likely to initiate eutrophication. With every successful operation where a fracking liquid gets employed iteratively, the toxicity is seen to increase exponentially. The main problems arising from these high levels of toxicity are that firstly, most effluent treatment units and activated sludge treatment units are unable to process feed with such high concentration of minerals and chemicals. Secondly, many wells are not been capped properly post extraction and have thus led to numerous ‘fugitive emissions’ of these toxic fluids. What is more, following a series of earthquakes in Dallas, Texas – which have occurred ever since ExxonMobil started shale explorations in the area – detailed investigations have traced the use of proponent loaded water as the primary casual mechanism. Accordingly, the injection and re-injection of the toxic fluid even has the potential to trigger earthquakes in areas that have a minor earthquake history. While it is true that fracking is likely to continue until this form of extraction becomes obsolete, it is also true that it is unlikely to gain global dominance until oil wells run dry. At present, 15 million Americans live within a mile from an oil or gas well, with 6 million in Texas alone. The alarming factor is that companies are not legally obligated to disclose the chemicals they use in the fracking fluid, although in recent years, there have been platforms established where companies may voluntarily choose to disclose such information. It is self-evident that unless legislative regulations are tightened, a sizeable proportion of the industry will stand to benefit from this constitutional ambivalence. A classic example would be Haliburton and BP, which engaged in a major game of shifting blame when BP’s Macondo oil-rig blew up in 2010, the cause being the use of inferior grade cement to construct the well. In a major move, the city of New York banned all fracking-based activities in 2014 after a state review found “too many red flags” for the extraction process. The decision was immediately criticized by the Natural Gas Alliance, which represents the independent drilling firms; but actively welcomed by actor and fracking opponent Mark Ruffalo, who gave the cause a public face. Additionally, Canadian geologist David Hughes, who has worked with the Post Carbon Institute, has conclusively demonstrated that well productivities decrease by up to 85% within three years – this calls into question whether such an energy extraction pathway is at all feasible. Opposition to the process has also spread across the Atlantic. In Salah, Algeria local inhabitants took to anti-fracking protests when Halliburton tested the region for fracking in March 2015, with 40 participants reported to have been according to Le Monde. But such resource-induced uprisings have existed in Algeria since 2011, when Sonatrach, a government venture, decided to explore shale options. The major issues raised by local residents are fears of subsequent displacement and the adverse effects that shale extraction could have on the Saharan ecosystem. Halliburton, as well as the Algerian government, have categorically remained mute on these issues. Similar conflicts of interest between energy corporations and societies have emerged in the UK when Total announced its intention to explore shale gas possibilities. the British government has proposed a strategy whereby those residents affected by fracking receive some of the proceeds as compensation, environmentalists have rejected such attempts of ‘bribery’ and have remained firm on their opposition. Despite this, having got government approval, drilling and shale explorations are set to begin in North Yorkshire. However, as resident and activist Donna Hume of Friends of the Earth puts it, legal action is being considered to challenge the Yorkshire decision. To summarize: Hydraulic fracturing holds promise, and it can certainly satisfy the world’s energy requirement in the foreseeable future. What holds even greater promise is that we are currently just talking about the proven unconventional reserves – there are even more unproven reserves that need proper exploration. However, in order to lessen the detrimental health and environmental effects associated with shale exploration, it is vital that the industry invest in developing a more techno-economically feasible, environmentally friendly, and sustainable solution. This is not to say that such a transformation will be easy. Indeed, there are definitely problems and challenges that must be overcome before the process turns benign on all the conventional checkpoints. However, in the long-run, such a technological paradigm shift is inevitable. Essentially then, the issue boils down to a trade-off between addressing our ever increasing energy needs and the long-term sustenance of our race. Such a crucial balancing and scale-up requires qualified, capable leaders who are not only able to transcend from mere engineering knowledge to demand forecasting, but can also envision the energetics of their next generation, if not more. ACKNOWLEDGEMENT: The author wishes to thank Desmond King from Chevron and Dr. Michaël Bikard from the London Business School for their valuable insights.